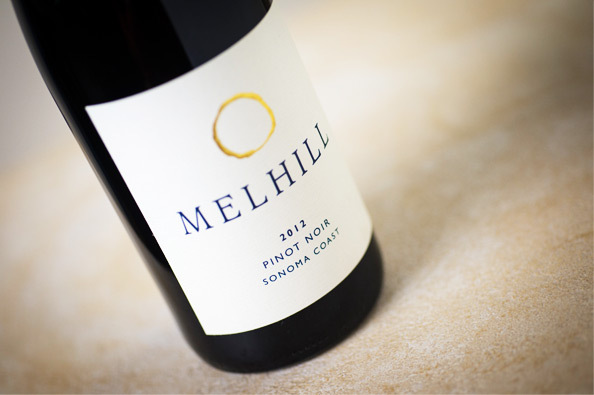 Melhill has plenty of reason to celebrate. Our 2012 Pinot Noir has been collecting fans and awards since it came to market, including a prestigious Double Gold Medal with a score of 96 at the San Francisco International Wine Competition in 2015. A smooth, rich and creamy red, our 2012 Pinot delivers deep and full flavors matched by a luscious mouth feel that is proving universally irresistible. Located a stones' throw from revered producers such as Marcassin, Flowers, Hirsch, Martinelli and Peter Michael, Gualala Ranch has also benefited from this ideal growing climate and concentrates on small production and pedigreed, estate fruit only. Expansive and beautifully rendered, this is a savory, earth-bound and tannic Pinot Noir. Showcasing aromas of loamy earth, berry pie glaze and dried herbs, it bursts with fleshy opulent flavors of black plum, blackberry, boysenberry and spice. Turning silky midpalate, it ends with a very long finish. This energetic, very pure pinot has the balance and depth to age.